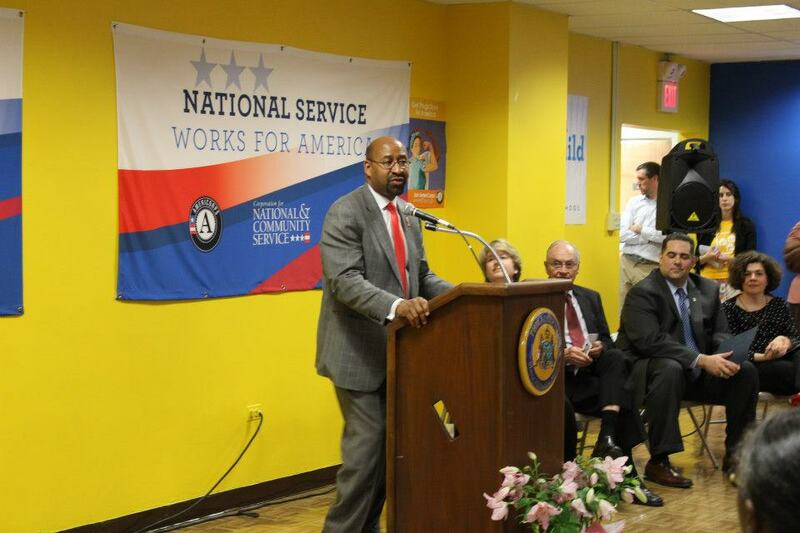 Earlier this year, Philadelphia Mayor Michael Nutter announced to his colleagues at the U.S. Conference of Mayors that April 9, 2013 would mark the first-ever Mayors Day of Recognition for National Service in cities across the country. This celebration – led by Mayor Nutter as well as the Corporation for National and Community Service (CNCS) – was envisioned as a way for mayors to highlight the impact of national service being done by citizens, AmeriCorps members, and SeniorCorps members in their community. (Click here to watch Mayor Nutter discuss the Day of Recognition on MSNBC’s Morning Joe – jump to 00:59 for the interview). YouthBuild Philly provided the location for the Mayor’s celebration in Philadelphia, organized by the Mayor’s Office of Civic Engagement and Volunteer Service. The highlight of the ceremony featured the announcement of Mayor’s Awards for Distinguished Service, recognizing AmeriCorps and SeniorCorps members and alumni in Philadelphia for their commitment to serving their community. …The thing about Dominique that further distinguishes her from others that are doing service often is her inquisitiveness. There is a curiosity in her mind to not only help others, but to understand the deeper meaning behind the issues themselves. She never accepts her service as a shallow one-time event, rather she inquires on the history of those she works with as well as the root of the issues they are facing. After attending the AIDS Walk with YouthBuild, she later suggested that we support more walks and eventually she help us coordinate our participation in the Alzheimer’s Walk. There is no doubt in my mind that Dominique is the most deserving candidate for this award. She is taking her life experiences and transforming them into a positive movement to help her community. 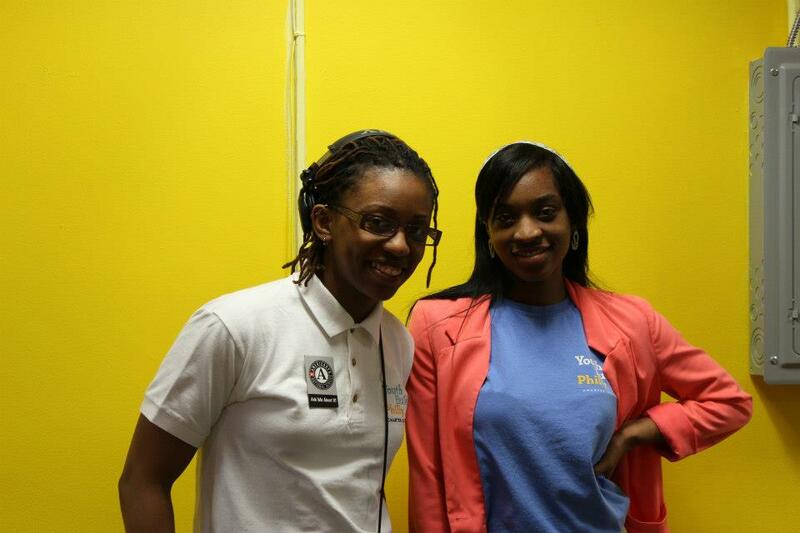 It has been an honor to know Dominique as a student and I cannot wait to see her growth into a college campus activist and furthermore into a personal activist for each and every one of her clients as a social worker. 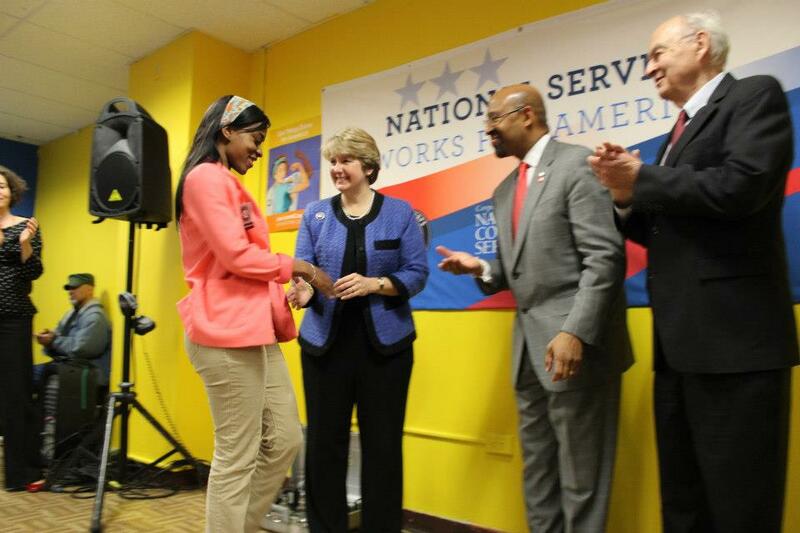 Dominique was selected as an outstanding nominee by the award committee, and had the opportunity to meet high-profile champions of national service – U.S. Senator Harris Wofford, CNCS CEO Wendy Spencer (who, in her remarks, called Philadelphia the “City of National Service Love.” We hope the nickname sticks! ), Deputy Mayor and Managing Director Richard Negrin, and, of course, Mayor Nutter. At the end of the ceremony, Mayor Nutter announced the final award-winners, and Dominique received the Mayor’s Award for Distinguished National Service! We’d like to congratulate Dominique on her well-deserved award, as well as the other winners and outstanding nominees. We thank Mayor Nutter for his commitment to service and leadership in instituting the Mayors Day of Recognition, and thank the Office of Civic Engagement and Volunteer Service for organizing this event! Service is at the core of YouthBuild’s program and values, and we were honored to help host a ceremony recognizing service and its best exemplars at our school! Check out our Facebook photo album for more photos from this exciting day! Next Post Breaking Ground on Wingohocking St.! GREAT JOB & GOD BLESS!! !